Welcome to Phoenix Rising Forge. We are a collection of artists working in several mediums including steel, pewter, leather, wood and exotic hardwoods. Since all of our items are hand made / hand finished, no two items will be exactly the same. 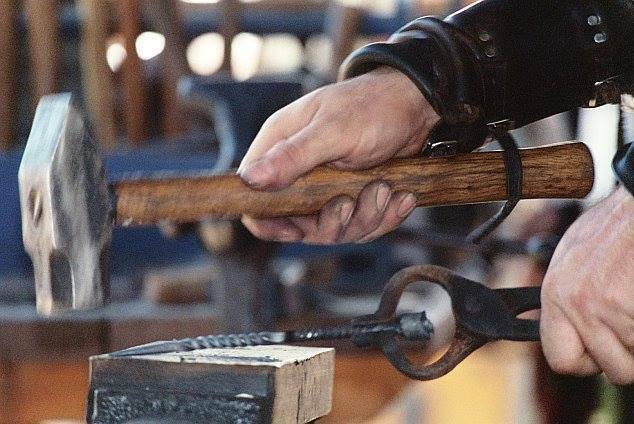 All of the steel items are made by hand with a coal forge and hand finished. We do custom blacksmith work. All of our pewter is lead free. All pewter items are cast from an original that is hand carved / hand forged by one of our artists. A mold is made from the original and then cast in pewter. The pewter item is then hand finished in either a brushed or polished finish.